'How much!?' 'You must be joking!' 'Get away with you!' 'You are kidding me'. Responses people might say when they look at the price of going to a theme park. No? That's what I said, or words to that effect, when I looked up the price of going to Legoland: Windsor. It's an expensive day out that's for sure. The entry price clearly doesn't hold people back as over 2 million of us venture there each year, and one sunny day recently we were added to that number. I don't want to put people off visiting, it's a fun day, honestly. I just felt the need to make the price point early on. Which can be applied to most theme parks and attractions. 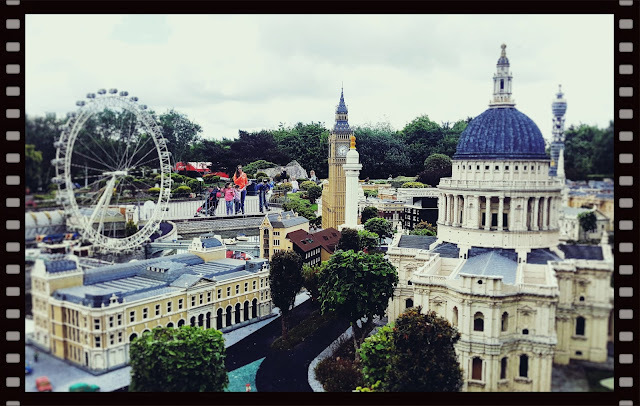 M & K (the kids if you've read this blog before,) have wanted to visit Legoland for as long as I can remember, and as the timing was right we all headed off to the outskirts of Windsor and the land of LEGO. There's a lot of LEGO! Once you've negotiated the entrance barriers, you are greeted by the usual cafes and shops selling sugar products! There's also a wonderful view looking across towards the City of London. On a good day, which this was, you can see The Shard poking its tip to the sky. So we headed straight for that rather than the sweet shops and admired the view. It's worth pointing out here, rather obviously, that this is a theme park for the younger child. Although there are roller coaster rides, they are not in the Alton Towers, Thorpe Park league. So worth bearing in mind. 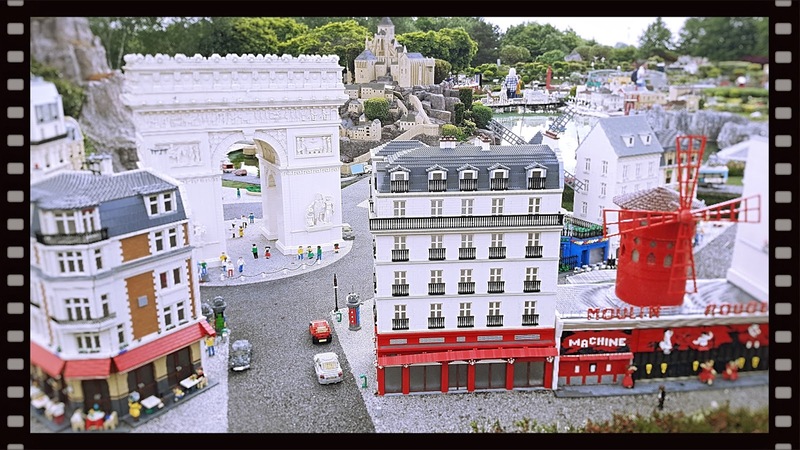 This theme park is all about the plastic brick, and there is an awful lot of it. Before we get into our review properly, let's start by giving you some facts about LEGO. It was invented over 80 years ago by a Danish carpenter called Ole Kirk Christiansen. In 2012, 45.7 million Lego bricks were produced, many of which are scattered about our house! Seven LEGO sets are sold every second! Every second! I could go on but you get the idea. LEGO is extremely popular. Like most theme parks you have to queue for each ride. We do love a queue us, British! Why is it we are happy to stand in a queue with a group of people you aren't going to talk too for an hour or more? No idea? There's never any entertainment to keep you occupied, other than entertaining your own kids. "Hey kids, it's only an hour before your 30-second ride, let's play I-Spy." You can buy quick access passes for an extra charge, but let's not get me started on the cost of doing that! I'll just say they are available and leave it at that. So once you've negotiated the queues, the rides at the park vary from the simple; train and little helicopter rides, to the more challenging; mini roller coasters, swinging chairs and water rides. All are perfectly aimed at the younger audience, M & K had a wonderful time. As did us parents to be fair. 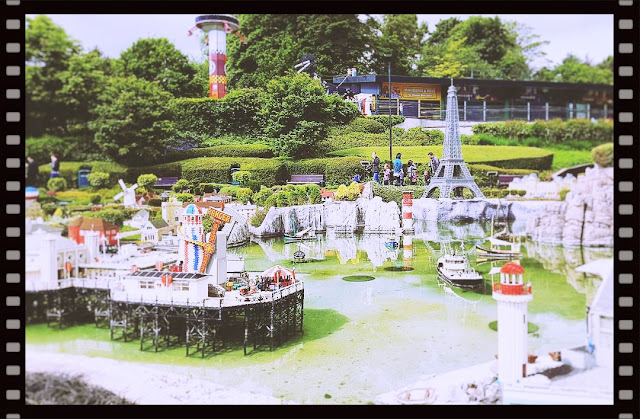 There was, however, one aspect, which is not just relevant to Legoland, that infuriates me. Theme Park music! Specifically during shows. Shows, you know these events that theme parks put on to entertain the crowd. I use entertain loosely here. Booming background music that is on a loop! You sit there, 20 minutes + in advance of the show to get a good seat. You then have to sit through the looped music which is slowly driving you crazy. All theme parks do it. Most are themed to the area of the park, wild west etc.. Although Legoland doesn't have that tune, their version of blaring music was bad enough. Add in the fake smiles and a show that made no sense to me at all! Hopefully, you can see where I'm coming from? It's again worth mentioning that the kids didn't mind it at all. I am getting old! To sum up then. If you have small children and they love LEGO, then you're going to love it here. The rides are fine and more than suitable for young children. The LEGO displays are great to look at and admire (see the photos), and you'll easily spend the whole day there. So as long as you don't worry about the queues, the horrible music and it's price, you'll have the perfect day out.